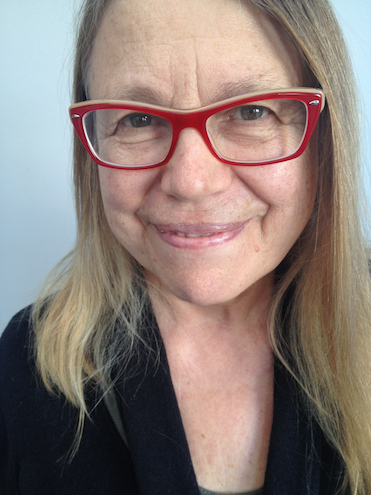 The practice of speaking forest is a diptych of stereoscopic videos. The first part, Call (You call me forest), is 3D stereoscopic video that will be shown on the large projection screen in the MOCAP studio during the workshop. 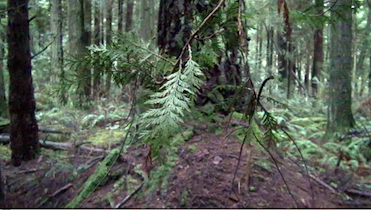 The second part, Response (I call you forest), is a 3D stereoscopic video that will be shown as part of the exhibition. The practice of speaking forest includes overtone singing done with singer and composer, Jerry DesVoignes. “When does presence arise in the land? Where is presence arising?” What happens when 2 artists, photographer, Sandra Semchuk, and singer, composer, Jerry DesVoignes, simultaneously listen with their eyes and sing with their ears (rabbit to deer ears expanding listening to being in stillness) to an audience of trees, mosses, grasses, wind and water? How will the more-than-human reciprocate? Dialogue with us? If we listen closely, follow the resonating and active echoes around us, the visual cues that lead us—-can we figure out our sensitive surround of cedar and wind? With what sentience will we, and audience, connect with across what barriers? There is a dilemma. How do we come to see more-than-human sentience without the barriers of projection and interpretation? When we speak of stereographic imagery we speak about the screen. It is the ground of the image. We choose to place imagery behind and before that screen to activate the experience of reciprocation within the imagery. When we experience echo location in song, vocables and overtone singing we witness the voice resonate above ground like mushroom mycelium communicate under the ground. We are “touched” and immersed as a result. DesVoignes, told me, “Listening to the forest internally or externally spring from subtly different ways of being receptive yet it is still you who is doing the interpreting. How do we allow the slippage of ownership of our perceptions to occur so we hear without interpretation?? If vocables and harmonics take us to the experience of river as we sit by it will the river be known to us in a deeper, more conscious and compassionate way?